Enjoy better digestion for the Body | Mind | Spirit. Every healing system has its own limitations, but the greatest limitation is the practitioner limiting his own knowledge and the layman not practicing nor teaching it at home. Longevity in health is the mortal aim, while the aim of immortality is to go beyond time, thus transformation of a mortal human being into an immortal being lies within a seemingly complex mortal life, yet simplified through eternity. The healing arts focus on knowledge to heal disease, while the real handicapped person is the practitioner limiting time to a mortal world in only certain boundaries of knowledge. For example: A scholar learns texts, now he uses them as a guide and then the innovation of therapies embrace health and longevity beyond space & time into the immortal world known as death, yet is also viewed as a return to God. If nothing in the universe is absolute, then no knowledge is final and there is no solution to any problem in the mortal world, yet there is in the spiritual world in the return to God. The mortal world of Hildegard, Ayurveda, & Chinese medicine has allowed the immortal world of healing to present knowledge in longevity to mortals. Explore these worlds in the articles to follow, and enjoy a new world of healing. Coffee, Tea or a Dandelion? White represents Yang, while Black represents Yin. Yin & Yang represent opposite, but complimentary qualities as Yin contains the seed of Yang so that Yin can transform into Yang and vice versa, as everything is in relation to itself. Yin corresponds to structure, while Yang corresponds to function. The general theory of Yin & Yang is an ancient one discussed as far back in the “Book of Changes” (Yi Jing, c. 700 B.C.) The Chinese medical physiology/pathology and treatment can eventually be reduced down to Yin and Yang. Nothing is ever completely Yin or Yang, but can be more Yin than Yang and vice versa. That is why the small dot/seed is an opposite in color in each one. The Chinese perspective on medicine and life reflects the general theory of Yin and Yang in teaching that the Spleen is the central Organ of digestion expressing the psychosocial, anatomical, mental, emotional and spiritual levels. Psychosocial: This level is the nutritional need to convert food into useable substances. Anatomical: A level expressed through fascia and soft tissue; without fascia our body would collapse. (fascia is a network of moist membrane wrappings that connect the whole body comfortably in its place.) The spleen is located opposite of the liver, on the left side, near the stomach. Mental: A level that serves as the thinking process to process food and information into something the body can use. Emotional: This level draws the feeling of being nourished and supported within a secure life. Spiritual: A level connected to the element earth; a feeling of being grounded. White represents Yang function of the Spleen that transforms and transports Food-Qi which in turn goes to make…the Black representing the Yin, and Blood which is also Yin and represents the Yin part of the Spleen. (Blood: This term is different than Western medicine. In Chinese medicine Blood itself is form of Qi; a ver dense form. Blood is inseparable from Qi. Qi infuses life into Blood, thus without Qi the Blood would be an inert fluid; Lifeless. Blood is derived mostly from Food-Qi. “Disscussion on Blood Patterns” by Tang Zong Hai, 1884 says: Water is transformed into Qi, Fire is transformed into Blood… How can we say that Fire is transformed into Blood? Blood and Fire are both red in colour, Fire resides in the heart where it generates Blood, which moistens the whole body. Fire is Yang and it generates Blood that is Yin. The Spleen and Stomach are the main source of Blood. According to Ayurvedic medicine the concept of digestion begins with external preparation and cooking of food which match the intestinal “cooking,” or better known as digestion. The external food substance has to be transformed into intestinal substances that can be absorbed in order to nourish tissues. The term Agni is used to describe enzymes and the metabolic process of digestion. (agni-digestive enzymes) Without agni you cannot digest any food or any sensory data, since it sustains life, vitality, and good health. Vishama Agni- Irregular: usually associated with Vayu/Vata (air/ether) metabolism, with erratic and variable digestion. Tiksha Agni- Hyper metabolism: usually associated with Pitta (fire) metabolism, intense cravings, hot/sharp qualities and personality. Manda Agni- Hypo metabolism: usually associated with Kapha (water/earth) metabolism, being heavy, slow and cool which inhibits agni: cannot digest even with a normal diet. Next food enters the stomach and the next 90 minutes secretions of Kledaka Kappha liquidfy and breakdown food. The next subsequent 90 minutes food becomes sour due to the hydrochloric acid, called panchaka pitta. Previous mucus secretions protect the walls of the stomach. The sour taste has the Earth/Fire elements as the fire aids in digestion, while the sour enters into the plasma. After 3 hours the pyloric valve is opened by samana (a sub-type of vata/air element) and the stomach empties into the duodendum, which is the first part of the small intestine. The liver and gall bladder bile mixes with the food which makes it salty and now becomes neutral to receive the salty taste and the food material becomes a watery/salty liquid. This is the Water/Fire elements to help in absorption. The salty taste now enters into the plasma. The middle part of the small intestine makes food pungent with the Fire/Air elements in order to improve digestion and assimilation. The pungent taste now enters into the plasma. Next, all of this “food” enters into the beginning of the large intestine and receives the bitter quality. Air churns the food and the absorption of minerals is governed here. The bitter taste now enters into the plasma. Lastly the “food” enters the ascending colon and the astringent taste predominates and makes “food” solid by means of Earth/Air elements. Astringent taste now enters into the plasma. The bitter and as astringent tastes help improve absorption and stimulate the movement of the colon via apana; a sub-type of Vayu/Vata- Air element. The Post Digestive Effect (PDE) is the long-term effects that substances, “food”, in the body relate to when balancing Pitta, Vayu/Vata, or Kapha within the great elements. The entire digestive process is about 6-8 hours in various stages according to the “taste,” and subtle digestion continues in that the nourishment must arrive to the cells of out plasma, blood, bones, fat, muscle, nerves and reproductive systems. A logical approach to compromise a diet requires correcting the elements of the body compromising and individual’s constitution or it being in an unbalanced, aggravated dosha of Vayu/Vata, Pitta, or Kapha. When your intestinal system is disturbed it makes plenty of noise. The sounds and pain created is your body writing the note of a ‘silent cry’ that something is wrong. Are you reading the note your body is writing or allowing the silence of the suicide within to take over? Toxins are silent killers. Why allow any known cause of diseases to go unread or unattended? The diseases of the body, mind, and spirit are balanced as a systemic healing, as each system needs to be diagnosed and treated. The value of a good diagnosis assists in treatment of systemic value to the body, mind, and spirit healings. Only your body can heal itself, no medicine or doctor has ever cured an illness or disease. Your intestinal system is a part of the suicide stigma and is recently receiving more exposure. The ‘stored emotional energy trauma’ inKaran’s book explains the cellular system, and emotional disturbances effecting the body, mind and spirit. Hence, Dr. Strehlow’s book explains the view from Hildegard von Bingen’s emotional disturbances and disease. When enough toxins accumulate in a part of the body they will manifest themselves in the form of disease that is now indigenous to the body. In addition there is a potential for this disease to spread and begin the breakdown of the other organs that will endure stress. Incurable attitudes are equal to incurable diseases. As positive emotions and diet feed information to the body, by means of the intestinal tract, it establishes a more efficient homeostasis. Your environment is a part of your information and the correct information allows proper functioning, until dysfunctional information is given to the intestinal system. This dysfunctional information is considered normal, by today’s standards of consistent emotional distress, when it is actually abnormal and is not harmonious to the body, which is trying to heal. Intestinal purgation has been noted throughout history. The famous medieval physician Paracelsus (1493-1541, sometimes called the “father” of toxicology) recommended colon cleansing. His belief was that death began in the intestinal tract. This belief has followed many other physicians into the 21st century that the colon’s function is a vital regulation of health in order to include the health of the body, mind and spirit. Autoaggression suggests that the body destroys itself. Various illnesses today can be traced to autoaggressive origins of emotional abuse to ones self. Inappropriate anger within the consciousness causes aggression to evil or leads a way to negative thought forms. Just as, mass media propaganda can cause inappropriate anger throughout a nation compounding individual autoaggressive origins. You have ten times more receptors living in your intestines than the total of your body cells. Equally important, that is more than one hundred trillion microorganisms within your intestines. Wars at any level, countries, nations, state, city, home, families or even divorce can cause a type of Spiritual Hypnosis towards more violence as I write about in my book. Many illnesses of today are mostly chronic diseases, but are also described as similar diseases in ancient writings, and therefore are deemed “incurable” by today’s standards and conventional medicine, yet not in ancient healings. In all cases spiritual risk factors are severely neglected, while negative vices and aggressive propaganda continue. Most people are unaware how they are innocent victims of this type of emotional damage. From T-V shows, video games to dangerous generational cults and secret society activity are still in action and accept the negative vices in order to abuse, brainwash, spiritually hypnotize as well as the skill-full mind control approaches to human life. When wars are over prosperity seems to occur, yet the real starvation is hunger and shelter from the spiritual abuse that the negativity created before the war. Spiritual Deception is the main cause for autoagression and positive virtues restore the full capacity of Spiritual Hypnosis God first bestowed to mankind when He put Adam to sleep. As your ‘gut’ and ‘gut feelings,’ or intestines heal, the microflora become normalized. The autoaggression does not have a source to destroy the body anymore. Until this healing within the intestines takes place, autoaggression has a source to further symptoms and diseases to destroy the body. Hildegard traces the cause to a substance called black bile, gallic acid, or in Latin melancholia. Your microflora are the first line of defense to the black bile substance. When discharged into the intestines it becomes so acidic that the good bacteria die. When there is too much black bile the blood becomes acidic and the intestinal microflora suffers to protect the gut. The immune system becomes alarmed and a war of unseen ‘weapons’ begins within the cells and blood stream. Literally every cell may be attacked in this ‘unseen war’ by the autoaggressive immune system. When the human soul is greatly suffering from anger, the heart of the soul is darkened. The golden glow of hearts is not as easy to shine to other hearts. The glow of the Golden Hearts depends on light to connect the energy from soul level. In this case, melancholy then settles into the spirit and this produces sadness and bitterness in the emotional well-being. ‘Stored emotional energy trauma’ settles into the multidimensional structure, which is called The Genetic Energy Theory within your being. Hildegard described, well over 850 years ago, in her visionary medical book, Causae et Curae, that more than 20,000 different diseases find their origins in bitterness. As you follow a spiritual change such as hypnosis, meditation, prayer, and anti-stress measures, emotional healing occurs and the bile disappears. If not, the gases excite the bile to produce more acidity than before. They begin to penetrate all of the body’s organs. All breads at BABS Bakery are brushed with Ghee (Ghrita) before baking. Ghee is used in Ayurvedic practice in place of butter. It is known/translated as clarified butter in the USA. Ghee is known to increase and balance all digestive fire (agni-digestive enzymes) and improve absorption and assimilation. In turn, ghee nourishes the ojas (life sap; essence of immune system and spiritual energy) which are also known to be the subtle essence of all body tissues. It carries medicinal properties of herbs to all sevendhatus (tissue) helping to lubricate connective tissue as it makes the body more flexible. It assists in improving memory as it strengthens the brain and nervous system. In small doses it is tridoshic, yet is not to be used when there are high ama (toxic) conditions. Soothes Pitta and Vayu disorders. Ghee is quite tasty and soothing, and is used as an anti-acid in Ayurvedic medicine. It is a highly effective anupana (vehicle) to carry herbs to deeper tissues and allow remedies to work better. As one example, when special herbs are made into medicated ghee they remove harmful cholesterol from the body. Ghee is used in many BABS Bakery food menu service, and in the future we will design various bakery products formulated with ghee. Energetics: Sweet/cold/sweet VP- K+ mildly. Actions: tonic, emollient, rejuvenative, antacid, nutritive. Better eating patterns, including spelt and coconut products, assist in the elimination of parasites and candida from the intestines, which also helps in emotional situations with any diseases involved. 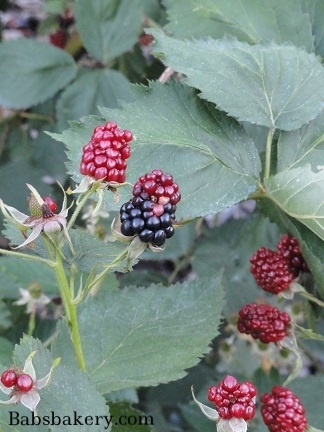 They assist in keeping black bile from the liver and allowing natural filtration and elimination to occur. Somehow modern society stopped talking, teaching and learning about the natural process of elimination and how it works with the human body. This is an important aspect to cover in all healing modalities when changing eating patterns and any disease is involved, such as many cancers. Craving various foods means something, it means your body is talking to you in a yes or no situation to them; meaning if it needs to actually be consumed at that particular time. Hildegard and Traditional Chinese Medicine are related in their teachings with the spleen being the central organ for digestion. When the combination of meridian route with a therapeutic action of food occurs the result is the tonifying of a particular body substance (such as in the Chinese Yin, Yang, Qi and Blood). Balance begins to work in order to heal and not in opposition. In addition it may reduce the influence of a pathological condition. This knowledge helps us choose foods to create a “tailor-made” eating pattern of foods for the particular element needing balanced within our Body/Mind/Spirit. To benefit the internal organs in these cravings moderate quantities of flavor relating to particular foods needs to be addressed to each individual organ. Cravings are also due to toxins within the body and will not be addressed at this time. Salty flavor belongs to the water element and enters the kidney. Sour flavor belongs to the wood element and enters the liver. Bitter flavor belongs to the fire element and enters the heart. Sweet flavor belongs to the earth element and enters the spleen. Pungent flavor belongs to the metal element and enters the lung. This is only an example to begin a complex guide to foods, flavors and balance. Refer to a eastern practitioner with proper credentials for further details. First off the parasites can consume most of the supplements that are received into the digestive tract, while the candida keeps attacking the immune system. Eating patterns that feed parasites and yeast problems only compound internal organ distress. a very dense and material one that infuses life itself into actual blood; without it blood would be an inert fluid). The liver stores Blood and houses the ethereal soul. Basically, emotions reside and begin in the intestines and are formed within the heart, thus the two major areas to be addressed in any eating pattern are foods and emotions, while the mental part is always in relation to both of these.By gaining control over parasites and yeast growth, auto aggression is eased and loving emotions assist in healing bitterness and any excited bile. Hypnosis, Gem & Crystal Therapies and elixirs greatly ease the vibrational upset, as with Flower essences. Restoring vibrational frequencies allows the major organs, as with the liver, to heal in the unity of the body, mind and soul. Jesus taught us to Love your enemies as yourself, as a result you do not hate them. This may also be applied to all enemies, such as disease to the physical body produced through emotions. Disease can be an enemy (including excessive weight, etc. ), yet by loving all these enemies the chance to become bitter and excite bile within the body is alleviated. Likewise, there is no need to wish it away and allow denial to take over; Love it away. The three spices Hildegard addresses for the Hildy Snacks (Nerve Cookies) were used by Egyptians as the main preservatives for the internal organs. Hildegard also talks about how they preserve the health of the intestinal tract and assist with the five senses, while science now can prove this in relation to the cranial nerves and the spinal cord. Many people cannot seem to eat enough of these cookies at first and then taper off in eating them due to balancing the internal organs, five senses and digestion, since the ingredients are also balanced. How can food determine my life style? How does the preparation of food change my biological humors/elements? Learning the value of the past allows for choices in a new way to revive a system in order to understand the sacredness of what a human being holds from God. Food feeds the cells that form the internal and external life of the physical body, as well as the mind and spirit. Biological humors were recognized in the Classical Greek and Medieval tradition based upon the four humors and four elements. They are represented by a particular substance in the body reflecting a primary quality of its element, such as melancholic/cold, sanguine/dry, choleric/hot, and phlegmatic/wet. These humors give us the key to ancient healing systems such as Hildegard, Chinses and Ayurveda. Hildegard refers to four basic humors, Chinese refers to five and Ayurvedic refers to three doshas that include the elements.This is not so much learning a foreign language or exotic system, but it allows the discovery of a spiritual and natural healing from centuries ago in a traditional fashion that got lost in a modern lifestyle based on one educational system taught from a model of synthetics mimicking particular functions of the body and not addressing the channels or organs originations. The cumulative effects of food for energy in the body’s biochemistry makes it more powerful than any pharmaceutical drug. Inheriting and acquiring strengths and weaknesses that are unique to each humor/element becomes a nutritional requirement (I am not addressing modern nutritional standards), not just calories and precise nutrient ratios to fit into an analytical model. Each humor exists in another element, which serves as the medium for the manifestation of disease or imbalance, or acts as the container in which it forms the composition for the unbalance in the boundaries of the other elements. The etymological (True meaning of a word; the science of the derivation of words; many medical words are derived from Latin or Greek) meaning of the humors are correlated to emotions, and are related to the “temperature” of foods to assist in regulating and balancing emotions as you heal. The temperature of food is intrinsic to all traditional cooking/baking. The temperature of food may be either Hot- Warm- Neutral- Cool- Cold, and this is not measured by the food to the taste, but the effect on the body, especially in digestion. For the most part plants that take longer to grow, such as rooted ones, tend to be warmer than faster growing foods such as lettuce. Therefore lettuce will be a cooler food. The higher the water content the more cooling effect the food will have, such as melon and cucumber. Chemically fertilized foods forced to grow quickly tend to be cooler than their naturally grown counterpart, and some chemicals may produce Heat Reactions in the biochemistry of the physical body arousing the incorrect humor resulting in furthering the disease/emotional state, and even pathogen. In short, that is why “fad diets” and “eat all raw” are not good for just about anyone, no matter what humor. Too much raw food, not much is needed, breaks down digestion for many people, yet some can be tolerated. Longer and slower methods produce warming effects, therefore knowing the temperature of foods that affect digestion helps you balance your body within the primary humor/element, including relating to the secondary humor/element. Basically Cold Constitutions need a warming diet and vice-versa, except when unbalanced, such as illness or disease. Hildegard highly promoted health within her Medieval Regime of a spelt diet. She is mentioned in some Ayruvedic reading as understanding a stated set of energetic properties describing the action of food has in the human body. As for food allergies, most are due to incorrect humor/element being aroused in the body. A complete constitutional evaluation can assist to correct this, not merely blood readings, as blood changes with what you eat and what you are exposed to, such as molds. For example if the liver dumps bile with too much phlegm/damp/heat condition the blood is read by the body as unpure and hemorrhages/bleeding can occur. If not corrected disease builds in other organs, and it all began with the digestion and intestinal tract. Rectal bleeding and/or heavy menstrual problems can compound when not taken care of, see a doctor, but most doctors are not prepared for the Food Energetics I am addressing. There are five major organs in the body being the “batteries,” while other transformational organs assist the “channels” for these batteries. Heart- Healing bitterness of the heart, sarcasm and rudeness occurs from spiritual energy regenerated through prayer, mediation and fasting. The liver produces extreme amounts of gallic acid when we get angry or eat too much incorrect fat. The acidity produced acidifies the blood and destroys the environment it flows into, therefore it is important to control your thoughts and emotions in order to control gallic acid in the body. Too much gallic acid kills microflora and this is the first line of defense in the intestinal tract. Liver- The soul speaks in symbols and images. Discovering the truth about your soul allows the healing to flow in inner peace. Hildegard called on kings, emperors and popes, among many others to understand that the message of Christianity is truth, peace, happiness, and not inquisition, war and deceit. Searching for God allows for the fellowship of refuge and protection to place their lives under God’s grace, and not remain in the melancholy/unhappy solitude. Lung- The body plays a role in order to learn reverence by kneeling, bowing, or face down on a mat. Humility, not humiliation, renders you to speak the truth. Lying and cheating need a lengthy fast (not starvation or depravation of vital energy from herbs-as modern societies have rendered), even people that lie under oath can recover from severe fasting. Kidney- Envy and jealousy requires the therapeutic effort towards love and charity, fasting is not recommended in this case, yet disobedience and rebellion do. A morning ritual includes meditation/reflection and exercise before entering the day. Respect and reverence strengthens your body with fitness, not hard physical exercise. Spleen- The dirty window of self-poisoning includes three parts of the digestive tract; the stomach, intestines, and colon. Learning not to despair and to trust in God allows miracles hidden in nature to blossom. Certain fasting, nightly meditation and giving aid to the poor clears this window to see out of it and discover the miracles within your own body to heal. According to Ayurveda, the human body is composed of many channels that supply the body. When in proper flow of these channels the result is health. When improper flow, being an excess, blockage, or deficient flow the result is disease. Three Channels inside of the body that connect with the outside environment in order to bring nourishment. 1- Channels that carry Prana, or the breath of life, is primarily the respiratory system, originating in the heart and primarily the colon.Pranavha Srotas. 2- Channels that carry food, are the digestive system, originating in the stomach and the left side of the body containing the spleen. Annavaha Srotas. 3- Channels that carry water or regulate water metabolism, originates in the palate and the pancreas. Ambhuvaha Srotas. Seven Channels for the body's tissue. 1- Channels that carry plasma, originates in the heart and blood vessels. Rasavaha Srotas. 2- Channels carrying blood, originates in the liver and spleen. Raktavaha Srotas. 3- Channels that supply muscles, originates in the ligaments and skin. Mamsavaha Srotas. 4- Channels that supply fat or adipose, originates in the kidneys. Medavaha Srotoas. 5- Channels that supply bones, originates in the adipose tissue and the hips. Asthivaha Srotas. 6- Channels that supply the marrow and nerve tissue, originates in the bones and joints. Majjavaha Srotas. 7- Channels supplying the reproductive system originates in the testes or uterus. Shukravaha Srotas. Three Channels connecting the inside of the body to the outside world allowing for the elimination of breath, sweat, feces and urine. 1- Channels that carry sweat originates in adipose tissue and hair follicles. Svedavaha Srotas. 2- Channels that move feces originates in the colon. Purishavaha Srotas. 3- Channels carrying urine originates in the bladder and kidneys. Mutravaha Srotas. Two Special systems exist in only the female. 1- Channels that carry menstruation. Artavavaha Srotas. 2- Channels carrying breast milk. Stanyavaha Srotas. One Special system connecting the nervous and reproductive system is the mind. All channels depend on this energy. 1- Carries a thought. Manovaha Srotas. Hildegard, Chinese, Ayurveda, Ancient European ancestors, Greeks and Romans must have been related not merely in the similarity from medical structure, but mental and spiritual aspects as well. At length, all of these healing practices recognize humors reflecting the element and their knowledge to heal, especially through food. This type of system attention affects the body/mind/spirit of the person, especially in a change of season. The power of the seasons direct the way we feel the ground or sun, taste the activity of a breeze or wind, hear nature or the current environment, see the moon and sun within the color of daylight, and breath the air in order to appreciate them. Harmony demonstrates balance in a Quality of Life Style. Clouds appear in all seasons, yet hold a quality of activity as you glance at them when preparing to go someplace. The power of energy can be compared to the clouds in a varied time and place allowing a life style for nature as seasons change. This too allows for internal organs to heal as it prepares and transforms them for the next season. Likewise, there are the transformational organs within the body. According to Hildegard: The Eastman is a man turning around in the universe and looking toward the rising sun. The arrangement of the universe needs a total of seven forces before life becomes life. There are five main ones and the other two combined creates the proper function for the universe. The first is heavenly love: she brings it tot the universe and keeps it alive. The second force is discipline, in Greek it means ‘cosmos,’ and this keeps the universe together. The third power allows understanding in that the entire universe is a living organism. This power is respect/admiration/friendship. The fourth foundation is compassion in that it creates mutual love and understanding. Divine victory is the fifth power in which confidence and trust in God built the universe. The last two forces are patience and at-one-ment. Patience brings peace and serenity. At-one-ment acknowledges the whole universe operates through the power of God. According to Hildegard: The Westman recognizes a group of vices and virtues from his shoulders to his hips, which contain the gastrointestinal tract and lungs, heart, liver, pancreas, and kidneys. The virtues of this group are healing forces for gastrointestinal diseases and the vices that can cause sickness in the same region. There is a second group of virtues dominated by pregnancy. According to Hildegard: The Northman is the second group of virtues. At the moment of birth you are entrusted with all the information you need for the path of life. More than 100,000 cellular genes and an invisible soul, to most eyes, becomes your equipment with thirty-five spiritual powers to master life. Your parents support and take care of you building these powers. The weaknesses in your life are the opportunities to “see” the transforming powers in what I call “the behind the scenes,” in which a deeper meaning is always present, but not to drive yourself paranoid finding it. By understanding that the purpose in life is to understand the message in a clam manner as The Eastman described, then you will know evil always gives a chance for personal growth, even in illness. According to Hildegard: The Southman overlooks the south and west. The earth extending from his knees to his calves are rich in life energy (virdatas) and the humors bring forth blossoms and fruit. The anatomical significance relates to sexuality, fertility and vitality. The eight traditional virtues Hildegard describes here represent the moral force in the world after the death of Jesus. The old eight imperfect vice must die, for they destroy life energy. Positive outcomes in life depend on transforming the weaknesses and misery of old age into beauty and strength of a wise man or woman. Hildegard lived a long life until the age of eighty-two. She told her last secretary, Wilbert van Gembloux, “Whenever I am occupied with my visionary work, I don’t feel like an old woman but rather like a young girl.” At age sixty-five she wrote her last cosmos-orientated theological book, Liber Divinorum Operum. Furthermore, she wrote a play on the vices and virtues, it was quite successful, and today many are putting this play on again. Eyes to see virtues are also eyes to see vices. You may not see angels or demons, yet they were created and chose their path as they influence the vices and virtues. Even though you do not see the Creator, you do experience the creation. Experiencing the creation is experiencing energy and the power of its works through the compass directions, as Hildegard taught. Let’s take a look at a few other energy works with compass directions and common sense placements known as Feng Shui. God the Creator has given many ways to heal in the journey we are in on earth and one is a scientific field known as Feng Shui (pronounced fung- shway). Hildegard has many concepts in her writings close to the energy practice within Feng Shui concepts. This type of energy placement is known as Vastu in India. My good friend Margie Baker first introduced me to Feng Shui in the early 1990’s. She was half Japanese and her mother, Mama Hisako was fromJapan. They had Feng Shui Masters among the family and this is how my life began a transformation of energy that I am now able to understand. Feng Shui is an ancient science that dates back at least 3,500 years ago in the roots of China. Feng Shui views the universe in that all things on earth are categorized within the five elements being wood, water, fire, earth and metal, while taking on the implications of negative or positive energy. Translated, Feng Shui literally means “wind- water.” Ayurveda teaches that if you can control the “wind” element (vata) in the body you would not age, be sick and would die in a body that seemingly did not grow old. The ‘wind & water’ refers to the earth, its mountains, valleys, and waterways that are the shape, size, direction and levels creating the interaction of these powerful forces of the elements within the energetic fields in which they are composed. It is a technique to live by from the Yin & Yang aspect to complete a harmonious life bringing the good life to those who reside within this type of environment. Mysticism surrounds this practice of Feng Shui, Vastu and Hildegard’s energetic practices that require the acceptance of fundamental theories about the universe that seem alien to us in modern times, especially in America. The philosophy of Feng Shui has survived and the techniques are applied in modern manners to adopt the ‘art of common sense’ within Feng Shui practice. Feng Shui was originally created in order to bury the dead and ensure the descendant’s lineage would be preserved and continue in an honored name. Jesus was ensured this to the Christians from His burial within the tomb he was given by Joseph of Arimathea that was within burial guidelines from the manner that Feng Shui is described. Feng Shui is not a spiritual practice to create miracles or arouse interest in magical spells. It will not change the circumstances of life immediately, yet it does coincide with positive or negative energy being generated and fits within the description of Karan’s Genetic Energy Theory. She is the first to use this term and give a complete guide to it within her book. Feng Shui does not create good fortune, but does create favorable energy to reduce and temper the negative forces and reduce the loss of tangible/intangible things in order to make things easier to bear when misfortune strikes. It allows for positive energy/virtues to re-enter and helps reduce thoughts of negative energy/vices. Feng Shui philosophy is based on three aspects that affect life being: Tien Chai or Heaven Luck with which we are born with, Ti Chai or the Earth Luck that is created by our surroundings, and Ren Chai or Mankind Luck that we create for ourselves within the virtues or vices we choose while here on earth. Compass directions, seasons, and elements are a central force to science, energy and any attribute that are mutually related to each other, in other words these elements cannot exist without each other. It is how these elements interrelate with each other to create auspicious or inauspicious forces of energy, being the constructive cycles or destructive cycles. The nature of elemental interaction is what creates harmony or disharmony providing an explanation to the five elements and eight aspirations associated with energy practice in understanding the ancient art of energy placement. There are varied schools and theories of Feng Shui and when learning about them, it may seem confusing, but the best way I can explain this is that they are varied “dialects” within the same country. For example, in Italy there are dialects in different parts of the country spoken that one Italian may understand and another part of Italy seems different. Understanding energy is an intrinsic factor we all possess. Most people already practice Feng Shui without knowing it, by moving items around, feeling comfortable with furniture or colors within the home and most important the interpersonal relationship with the natural compass direction we all act upon. Feng Shui is a personal action, rather than having a consultant tell you what you need, the consultant basically guides you, but you need to learn the basics, just as though you are learning to cook or bake. Directly quoted from Karan’s book- “Every word and picture has subtle energies, meanings and purpose leading to frequencies for ideas and moods. According to Feng Shui the house is the embodiment of the person who dwells within it, as Jesus taught us that our body is the same embodiment for our soul. If the arrangement of the house/ body is not harmonious and contains blockages then the well being of the house and person is affected. We are infused with a soul, a body to house the soul, a physical house to live in and another important extension is the workplace. Meanwhile inanimate objects such as, pictures, jewelry, artwork, furniture, and so forth possess the energy, or chi, creating symbols within the subconscious mind that affects the quality of space we live and work in. Feng Shui/Vastu acknowledges these types of energetic influences and the associations of the occupied space. Images and symbols empower the mind and influence emotional well being, thus we need positive growth energies surrounding us. The flow of water, in Feng Shui, is said to mirror the flow of invisible chi currents around the earth, while the wind allows for the flow of this current. Feng Shui does not have to be perfect to work, and neither is mankind, yet we find ourselves confronted with various decisions that involve tradeoffs to integrity, emotions, and everyday life activity. Let alone the destiny we are entitled to. These dynamic situations are in a constant flux, as any energy is when confronted with it, whether through a subconscious recognition, or a past memory imbedded within the Genetic Energy Code we are born with. There are people such as myself, who can see the invisible lines of chi currents, or the Feng Shui (wind-water movements), and there are dots and lines in a grid when examining some places. I also feel that everyone has the ability to see these but are unable to visualize it in their mind, yet their subconscious tells them to rearrange furniture, change colors, etc. as an innate ability to Feng Shui/Vastu. My oldest son Franki has the ability to do this without knowing what Feng Shui means or how it affects what he is rearranging. He would rearrange the living room furniture, as I learned years later, to resemble the comfort of a circle and place rocks in the yard to symbolize stability and backing. He would tell me that it made him feel safe. My Japanese friend told me he is a natural at Feng Shui. The study of the influence of environmental energy, or chi, is pragmatic in events in the same manner as Franki had to rearrange items inside as well as outside the home. Common sense tells the subconscious mind that if you walk into a room and the furniture blocks the path, there cannot be a smooth flow of energy, let alone people. This psychologically hurts the people involved when it is at a deeper subconscious level. Hence, stored emotional energy trauma can occur easily in this type of negative energy, or chi environment. Mankind is created from the elements, and the elements were created from the compass directions of north, south, east and west, with four other subdivisions being NW, SW, SE, SW. Multiple factors are included in these energy/chi directions, and it will factor into studies for placebo and nocebo affects. Feng Shui masters are concerned with the relationship between magnetic fields and electrical and energetic materials as the practical physicist is with the interaction of proving energy and relationships to mankind. Pragmatic events are in sequence to magnetic levels and compass directions, yet other variables come into play that will not be addressed in this book. However, the Genetic Energy Theory does relate to this type of interaction and influences the outcomes of daily life. Actual expressions of time are acted upon when creating that which accords to nature and then time becomes order and not a waiting period. By giving actuality to the way of the universe this brings about all phenomena in time. Each step attained becomes a preparation for the next and time is no longer a hindrance, but is the means of making actual what is potential. The idea of time is created by movement, and the duration of time comes from limiting time by a waiting period and not giving way to the universe and the non-limiting fields of energy. Vaastu Shastra, the Indian art of placement, reaches out to the universe concerning itself with the subtle complexities of the energy systems that relate to both a human and to a naturally designed environment. Even though Feng Shui differs widely in details, this system is linked with it in space and directions being the main forces of energy. Wisdom is clear in India’s traditional principles in that energy is not limited by time, thus we do not wait for anything, your purpose is already here. It is as if you know how to open a door, but you do not and keep watching through a window for what is to come your way. By opening the door the life force changes and you can now step through it and then once through the door you can look through the same window with a different view. Instead of looking out and waiting, you are now looking into the life force itself and there is no waiting period. By looking into a life force, I mean you are looking at life without time and a force of energy from the universe bringing every detail you may not have even dreamed of. The actual life force of the Earth is called vastu, while the manifestation of this force in all objects within or on the earth is called vaastu. The pre-Vedic roots of Vaastu is found in unearthed remains of Harappa and Mohenjodaro. Harappa civilization of the Indus Valley was perfectly aligned with the elements and the description of the city is phenomenal. Thirty two books on the Vaastu are written between 3000BC and 600AD in Sanskrit detailing the construction ad importance of placement of various utilities. The way of Vaastu is rooted in the Vedas that were composed seven to ten thousand years ago in India based on observance of everything in our universe. The sacred science of building is called Vastu Shastra and is contained in the writings of the Vedas.Monks migrated from India into Chinaand gradually turned Vastu into Feng Shui. They understood the place mankind dwells in is full of life force, while too many people today feel inadequate from too little life force within their dwelling space called a house.Both Feng Shui and Vaastu have roots in the knowledge of planetary energies and the basic elements that are grounded by them. Vaastu is more mathematical than Feng Shui and the major differences between them are that Vaastu has detailed analysis of height & weight distribution, positions, extensions & cuts. Vaastu is not Indian Feng Shui, but is sometimes explained that way. They have similarities, yet oppositions, after learning both systems you can decide for yourself which one suits you best. I found Vaastu offers a greater depth than Feng Shui, since there are over 100 schools with varied thoughts on Feng Shui, whereas Vaastu does not have these varied schools and thoughts. One reason is that India does not have the type of mountains and extreme seasons as China, thus Feng Shui will suit the climate and position of the land better. Another reason they differ greatly is the cultural beliefs, such as dragons in China relate to many deeper symbols for the people. Digestive sequences of food received by the major organs and the transforming organs affect digestion, and incorrect sequences aggravate humors. At this point incorrect sequences can also cause putrification and fermentation, andinsufficient absorption of nutrients cannot feed the cells. According to Ayurvedic Healing the diagnosis of disease is based on three biological humors and treatment is according to the six tastes. Hildegard mentions many blends that are in accordance to sequences of food as the Nerve Cookie (She describes in her writings), or the Hildy Snack Cookie from the bakery. Constitution, Season, and Condition of the existing humor. Hildegard, Ayurveda, Chinese (also Qigong diet) all emphasize cooking foods rather than eating them raw, while both food and drink are served at a moderate temperature; not hot or cold. (Note: some raw can be consumed more so in summer). Peak functions are opposite of the low times of the organ. Example: If the gallbladder peaks from 11pm until 1am, then its lowest function is from 11am until 1pm. After reviewing the peak energy times for the Large Intestine, Stomach, and Spleen you begin to realize why Hildegard’s regime of Spelt Beverage and foods are warming foods to the start of the whole digestive process for the day. In addition, the gallbladder has the lowest energy around lunchtime, hence she recommends not to have a heavy lunch since it will become more difficult to digest. Our modern heavy, oily foods help weaken this organ, if not already weak, and not enough bile can be produced. This reasons why gallstone pain will be more severe at night. Basically, as Hildegard stated, digestion and assimilation are most efficient at breakfast time. According to Qigong meditations, a general rule is to use peak times therapeutically for specific organs. The Six Tastes are not limited to herbs, but also to the actual substances when taken into the mouth. Once in the mouth dynamic properties are revealed. SWEET—Sugars and starches: composed of elements earth/water. Examples are: Spelt, perch/salmon, most beans except for adzuki which is sour/sweet, chicken, watermelon, water chestnut, walnut, sunflower seed, coconut, mullein, licorice, Chinese/Korean ginseng, slippery elm. Barley is sweet/salty. Necessary for maintaining tissue growth and development in all humors. SALTY—Table salt or seaweed: composed of the elements water/fire. Examples are: Clam/crab, ham, kelp. Necessary for mineral balance and holding water. SOUR—Fermented food or acidic fruit: composed of the elements earth/fire. Examples are: Quince, lime/lemon, trout, and blackberry leaf. Wild rice is sweet/sour. Necessary for acidity and countering thirst. PUNGENT—The hot spices included here are cayenne and ginger: composed of the elements fire/air. Examples are: Aconite, mint, mustard, and fennel bulb. Wheat germ is sweet/pungent. Necessary for metabolism, improving appetite and digestion. BITTER—Such as bitter herbs- golden seal and gentian: composed of the elements air/and ether according to Ayurveda. Examples are: Feverfew, hops, aloe, chamomile, yarrow, rhubarb, and chicory. Necessary for detoxification, but can also be depleting. ASTRINGENT—Herbs that contain tannins: alum, witch hazel: composed of the elements earth/air. Examples are: Pomegranate, elderberry. Necessary for firmness of tissue. Our various emotions are also the flavor, so to speak, of the six tastes. Emotions can increase therapeutic healing or encourage disease effecting of the tastes that correspond to the emotion. The next few phrases that relate to emotional thought and the human body include: “Let me chew on this thought for a while,” or “I had a hard time swallowing that,” or “That issue left a lump in my stomach,” or “That person leaves a bad taste in my mouth." All of these phrases have one thing in common; emotions and the physical body. Lifestyle, eating patterns, and the sequence of food/herbs/spices have an impact with emotions in an energetic quality. For example alcoholism can cause liver damage as well as unnatural, and consistent anger. Herbs, diet, and spices can only help so much if the “taste of the mind” has not changed the taste of the emotion from the heart. This brings about a mind/emotion connection that varies for healing modalities to help resolve negative emotions. Examples of modalities are: Gem & Crystals, Flower Essences, Essential Oils, Qigong, Meditation, Prayer and of course Hypnosis. By ‘covering up’ emotions further damage can occur through hidden ambivalence (the existence of mutually conflicting emotions or thoughts about a person, object or idea). Balancing these ‘hidden’ emotions is accomplished in one or a few sessions in hypnosis, while other therapies require months and years to resolve the same subject. Other modalities can be used, but in all situations an accompanied change in lifestyle is needed. Diet, herbs/ essential oils/ food sequences/ spices are some of the main ways to assist in this change. This promotes an easier way to utilize the process of change. A common phrase: “I usually like this, but for some reason is not agreeing with me this time,” holds true to “listening” to your body as it changes it emotions and humors. Learning this ancient art from systems not forgotten is simple, since mankind is actually quite simple to heal. Sweet is the heaviest then salty and astringent. Lightest is bitter followed by pungent and sour. Too much sweet can damage the spleen and builds toxins. Too much salty can damage the kidneys and causes looseness. Too much astringent damage the colon and cause contractions. Too much bitter can damage the heart and causes coldness. Too much pungent can damage the lungs causing burning. Too much sour can damage the liver causing acidity. Hottest is pungent then sour and salty. Coldest is bitter followed by astringent and sweet. Wettest is generally sweet followed by salty and sour. Driest is pungent followed by bitter and astringent. Example is: Too much salty can aggravate the water element and tissues are in excess. Pure Forms are more likely to aggravate the humor when taken regularly, yet possess a strong medicinal property for a temporary condition of an unbalanced humor. Lacking a taste will also aggravate a humor. An example is too little sugar will aggravate air then fire. In our modern culture bitter, pungent then astringent are usually lacking. Accumulations of toxins become in internal alarm! The process in the stages of disease relate to all emotions in all stages. Stage One: This is an accumulation stage where the body cannot expel the excess faster than it is being accumulated. Discomfort settles in as an acceptance factor conventional medicine claims as the age you are or blaming it on the weather change. Weather does have an effect, but can be corrected if understanding which one. Other than that you will begin to feel intestinal gas, stomach acid, lethargic. Stage Two: Once the excess humor is provoked to leave the place of origin, usually the gastrointestinal tract, the signs of aggravation are more noticeable. Examples are: indigestion, cold hands/feet, nausea, vomiting. Stage Three: The aggravation spreads into tissue and you might not still find it difficult to pinpoint what exactly it is wrong. Fatigue/restlessness, painful digestion, increased mucus are some signs. Stage Four: Toxins are produced and deposited in tissues. Stage Five: The disease grows and manifests itself. Restoration by eliminating excess levels of imbalanced humors is the treatment. A change in lifestyle is to be considered. Stage Six: Excess humors have disrupted the integrity of the whole system and disease can become complicated. If the humor is not pacified a weakness remains in the body and symptoms are just ameliorated (to make or become better, to improve) and the excess humor may move further and settle into other tissue. Lymph, blood, muscle, fat, bones, nerve and reproductive tissue suffer from symptoms and disease. Some symptoms remain psychosomatic and are real. Everything manifesting into the physical body is real and needs addressed. Coffee, Tea, or a Dandelion? What do all three of these beverages have in common? They have all been used throughout history for a therapeutic value to assist the body/mind/spirit heal and/or maintain balance. Why do I want to drink coffee, tea, let alone a dandelion? Water is just fine! Water is fabulous way to flush and cleanse out toxins, but how do the toxins to begin to breakdown and leave the body? Energetic properties reside in all natural products and have an impact in one way or another, whether ingested or topically applied. Once the breakdown of toxins occurs they can be flushed out of the body without illnesses and flu-like symptoms. Most people do not realize how disrupted their intestinal system is until they begin to detoxify and then tonify. Lets explore three beverages, other than spelt beverage, with their functions and properties. Of course, Spelt Beverage is the first choice, but I think you will find the other three are just as important to compliment a changing lifestyle in order to balance and maintain health. Unlike coffee Spelt Beverage helps support digestive function. Coffee on the other hand should be used more therapeutically for the digestive tract. The coffee bean has been a marketed and commercialized breakfast beverage. Years of research led to finding out that the coffee bean whips the digestive organs with a false rush of energy. This is accomplished in the central nervous system, which also adds to irritating the mucus membranes. How much coffee to consume and at the appropriate time depends on your constitution and element that is out of balance. In Chinese Medical terms Yang deficient in adamp person will tolerate coffee rather than those who are yin deficient. (A generalized condition of Dampness is associated with a weakness of the Spleen; an organ that runs digestion.) Coffee enters the central energy pathway in the body being the Penetrating Vessel (chong mai). Meanwhile too much, and especially at the inappropriate time, can assist in disrupting a women’s reproductive cycle. Caffeine directly influences the kidney system, as discussed in Chinese medicine, as well as the adrenal glands. Over consumption depletes kidney energy reserve, but a moderate consumption through a healthy diet and tonic herbs stimulates function and energy. Coffee is listed with the energetic benefit of circulating energy (Qi). Its temperature to the body is warm in nature, flavor is bitter/pungent, and the energy channel routes are the lung, liver, kidney, stomach, and heart. According to Ayurveda, by adding cardamom to your coffee the digestive whip is not as intense and can be tolerated when drinking. Coffee is only recommended at certain times in this ancient healing system. 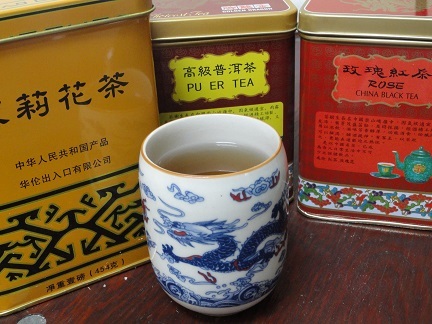 Tea, in general, aids in digestion, especially when drunk in small and weak amounts. Less course varieties are best, since the temperature tends to be cooling in nature, yet spices can be added to make it warm in nature. Green tea has only positive benefits in that it protects the body against degenerative disease, while aiding in digestion. Meanwhile the gentle effect leaches dampness from the body to benefit all damp conditions. Tea has been used for at least 4,000 years for its many health benefits, flavor and enhancing positive emotions. The Far East considers it to be a health elixir and new studies support the ancient wealth of wisdom in this herbal tonic. Every variety offers health protection due to the specific energetic property strength in this tonic herb. Westerners are just beginning to understand how tea benefits the body/mind/spirit, while in the East it is a part of their lifestyle. Therefore choosing a tea to drink means it needs to benefit your constitution and/or the unbalanced element. The primary function of tea is the polyphenol fraction. The polyphenol is known as catechins or flavonoids. These polyphenols have powerful antioxidant activity. 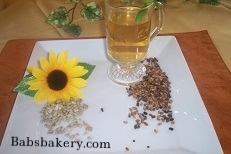 White and green teas have a high concentration of phenols, while black teas have less. In addition white and green teas are not oxidized, while oolog and black teas undergo enzymatic oxidation to help develop their characteristic, smell and flavor. Meanwhile altering their polyphenol content. Phenols control many biological actions, as well as taste, when comparing tea to vegetables for the antioxidant activity, while green tea and black tea have this greater ability. Nature is all about energetic properties designed for mankind to work together and not against each other. On the other hand tea contains caffeine, which is a central nervous system metabolic stimulant. To be accurate, the caffeine in tea is actually called thenine. Thenine facilitates the release of energy and has a distinctive effect on the mind. It easily crosses the blood brain barrier and the thenine molecule is structurally similar to adenosine, which is an endogenous (originating or produced from within) compound that assists in energy transferences. The blood brain barrier is the barrier membrane between circulating blood and the brain that prevents certain damaging substances from reaching the brain tissue as well as the cerebrospinal fluid. The American Medical Association (AMA) determined that if they could find an agent that would surpass the blood-brain barrier, they would be able to cure diseases such as Alzheimer’s, Lou Gehrig’s, Multiple Sclerosis and Parkinson’s. In June 1994, evidence that sesquiterpenes, an agent found in many essential oils, have this ability to go beyond the blood brain barrier. It was documented by the Medical University of Berlin, Germany and Vienna. Once in the brain the thenine binds to adenosine receptors on the surface of the cells, but it does not activate them. Hence, thenine is now acting as a competitive inhibitor of adenosine functions. The reduction of adenosine function allows increase activity of dopamine (a vital neurotransmitter naturally produced in the brain, adrenal glands and hypothalamus). Dopamine is a precursor to noradrenaline (norepinephrine) and then adrenaline (epinephrine), which is the “fight or flight” hormone that is released from the adrenal glands in threatening situations or stress reaction activity within the parasympathetic and sympathetic nervous system. Tea also contains L-theanine, a calming factor, by possessing extra ordinary anti-stress effects. Brain tests show that when sufficient L-theanine is consumed the alpha waves are generated; such as relaxation when in prayer, meditation and hypnosis. It is not a sedative, yet a primoral relaxant that neutralizes many of the stimulatory effects of caffeine for anti-anxiety activity and actually contributes to metal clarity, focus and memory. Furthermore it has been found to eliminate edginess caused by the consumption of caffeine. Varieties of tea may contain more caffeine and less L-theanine, therefore causing the stimulating nervousness similar to coffee. High quality teas tend to be well balanced and drinking them is an important reason to choose better quality teas in accordance to a particular element imbalance or constitution. An abundance of longevity resides in tea with the immune, cardiovascular and liver studies, as well as the ability for dental, digestion, and anti aging effects. For those who do not consume caffeine or cannot tolerate it there are caffeine free teas and coffee. Although many of these do not contain all of the cleansing and balancing effects, let alone carry the flavor for the ever loving coffee drinker. Teas will vary in temperature, tonification, flavor and an energy route to an organ they regulate. Black Tea- Temperature is neutral, flavor is bitter/sweet, energy routes are the heart, stomach, lungs, large intestine, liver and bladder. It resolves phlegm, drains water, removes toxins, and promotes energy (Qi) circulation. Green Tea- Temperature is cool, flavor is bitter/sweet, energy routes are the is the heart, liver, large intestine, lungs, stomach, bladder. It resolves phlegm, drains water, removes toxins, and promotes energy (Qi) circulation. What can a dandelion offer that coffee and tea cannot? The qualities of the dandelion are beneficial in history, but long neglected in the modern lifestyle, especially in the western diet. According to Chinese medicine, Blooddeficiency (refer to EATING PATTERNS on this page for the explanation of Blood) is characterized by feeling undernourished, and not fully in touch with who you are, as if a separation occurred and the mind floats while loosening the anchor to ourselves. This reasons why at night when you cannot sleep and/or wake up at night and cannot get back to sleep, it is the mind floating. (My personal remedy is ½ glass of coconut milk, or a glass of spelt beverage). The spleens ability to convert food intoBlood also helps the heart to circulate it around the body. Resting, particularly in early afternoon, enables the liver to renew Blood during the day, since it is at its lowest energy. (This reasons why in other countries a siesta, or naptime occurrs). Blood is easily moved through your diet. All foods form the basis of Blood, and one in particular is the dandelion. Dandelion: Temperature is cold, flavor is bitter/sweet, and the energy routes are the kidney, bladder, liver, gall bladder, stomach, and large intestine. It counteracts heat, drains water, counter acts damp heat, and promotes energy (Qi) circulation. According to Ayurveda, the dandelion is used in specifics, such as a bitter and blood cleansing herb, particularly in balancing doshas (humors/elements). General treatments of circulatory system disorders and specific treatment are similar in all three doshas include the dandylion leaf for its chlorophyll, yet diet and spices vary considerably. An example is gout. Eating foods that make the blood toxic, or improperly prepared foods, create a metabolic disorder in which uric acid is deposited in the cartilages of the joints. Ayurvedic views this condition similar to arthritis and many remedies and measures are the same. Gout is called Vatarakta in Sandskirt, meaning Vata (air) in the blood. The blood needs cleansed. One western herb recommended is the dandelion. Dandelion is also recommended in a cancer diet with a particular formula and specific directions for the dosha if it is Pitta (fire), Vatta (air) or Kapha (water) for the qualities in the diet matching the dosha. Russian studies prove the dandelion's neutron activation analysis works as a pollution monitor. Relax with dandelions in your yard, as they keep the air clean! Indeed, this four letter word has the world in a frantic search for the impossible, by any means of human nature. The word cure in Eastern medicine means to ‘remedy’ the nature of the problem or disease. Feng Shui uses the word cure in their work, as it is meant to remedy a negative energy. Does this bakery, if allowed to claim the healing powers of foods, guarantee it will get rid of ailments or prevent them? No, it cannot, just as any other food or product making such a claim. Yet a food energetic combination is better than if you are improperly combining food. This word cure has been turned around from its original meaning. Cure really means to – put under control, as long as there is no permanent damage. The recent publicized condemnation of fast food is hurting you, (mostly because of its energetic mix-up, microwave use, and genetically modified products, not to mention the improper use of food combinations!) is real because many factors go into it, and yes Food Energetics has been proven to help you, but not according to FDA standards. The FDA standards do not come near the standards of Eastern practitioners, merely a standard model of process, (just like the latest raw food craze) nor Hildegard’s medicine or food energetics – let alone digestive fire (agni) - because of a major flaw. They have left out the factor of the energetic channels and levels that need to be addressed in any food, herb, spice, etc. claim. This is the separation of eastern and western medicine. Here is a wake-up example, and just one of thousands that has happened to me. When I was at the Cleveland Clinic and was talking with the head of immunology, he agreed about food energetics. I then asked him why are you allowing a feeding tube to basically run around the clock, this gives no rest or regeneration for the digestion, let alone in the explanation from Ayurvedic medicine of the Kapha states of Bodhaka and Kledaka kapha, which is basically the ‘mucus’ and secretions to digest and regenerate. One works in the morning and one works at night. He agreed, yet also agreed that is only what western medicine teaches to do. It just about wears out the patient to appoint of death, right there, slowly through digestive breakdown! And through digestive breakdown, it greatly allows the immune system to malfunction! Next, are three major points of these separations in medicine. First, God is addressed in eastern system and not in western system. Second, let’s find out the imbalance of what element is in the person in eastern system and let’s experiment even until they die in western system. Finally, the patient is treated with dignity and humanity in eastern system and grief counseling is barely taught or respected in western system. When you take God out of teaching any system, there is the mass amount of inhumanity. These are just some major points that separate the two systems in the quality and quantity of life itself. We are a manifestation of a material world and without a doubt we will die, just as the earth changes (not evolution), moves, deteriorates, and as plants and animals do the same. Crystals & gems are not even created in perfection and are subject to destruction by some means. The human temple we live in needs to be kept in the best possible condition correlating with all five elements and the quality of food to match the energy principles of the element that needs to balance or stay balanced, as best as possible. Taking proper care of the plants and animals is a claim that needs to be taken seriously, not just the super bowl. By paying attention to only one, you neglect the other, so if you like the super bowl, then you should not neglect the energy world. This is the body/mind/spirit claim to the bakery and to mankind, not to guarantee a cure from food, but to help you better understand what the higher cartels are trying to hide from you and your foods. When you win the super bowl, you usually win money, when you win your food intake, you usually win your health. The reason no one can claim their food will cure/remedy you, is that it has not been determined what is out of balance, but usually a craving will tell you that, if your gut is in decent balance. When your gut is toxic, then your blood has toxins, and then you may tend to crave that toxin. It is a similar claim modern medicine makes in a western hospital or a doctor that is treating you to give you a prescription, yet they are allowed to say ‘practicing’ in everything they do. It is not hard to begin practicing the elements around you and within your own body and help yourself more than you realize, once the understanding is there. The birth of Jesus is related to the Three Wiseman bearing three gifts of Gold, Frankincense and Myrrh. It becomes a triad of Ancient Wisdom for modern mankind that matches the body/mind/spirit to form a Golden Heart. Rituals are a part of life and herbs were an important part of rituals regarding embalming, bathing, dance techniques, healing, and meditation to cleanse negative energies. The Spiritual Property within a ritual was inspired by a quest for Spiritual Understanding. A resonance takes place within a ritual using spiritual techniques to bring about a symbolic message and communication. This communication was enhanced through the resonance by means of direct ritual. Therefore, thought forms are strengthened and ultimately a positive cycle is created from an individual affecting the energy culture. Eventually “Coordinated Energy” becomes a resonance towards herbs and then recognized attunement from elements such as gold, silver, and copper. “Coordinated Energy” benefits my Genetic Energy Theory as an attitude towards virtuous works develops with sensitivity in recognizing the power of energy within the herb, mineral, or gemstone. Gold is of the hot nature like the sun, almost like the element air. As a medical remedy gold can be consumed in the body and stay within the stomach for two months and gradually leave the body after that, taking up to one year. Only in specified purity and amounts can be done in this particular method. Gold is a physical cure that stimulates nerves and revives their function. Gold gives discrimination, thus by making a distinction in treatment of ones self, and then one may heal and choose to heal others. Origins of evil are found in anger and impatience resulting in the release of black bile that eventually becomes the greatest challenge to the physical bodies immune system. The Gold Cure also stays within the intestines strengthening the immune system where the largest part of the immune system is located. Discrimination is distinguished between anger and peace. Frankincense is more hot than cold. The odor ascends without fire and strengthens a person when remedied in the proper context for the ailment. The odor also clears the eyes and brain. Frankincense is a mind cure connecting energy fields of the physical and astral providing a shield for each set of subtle bodies. When this breaks down the actual sensory perceptions thoughts, feelings, fantasies, and emotions can no longer discriminate between astral or physical. Entities and environmental factors take temporary control over emotional influences and psychological problems/energies are woven into imbalances of personal experiences. The science of the psyche does not understand subtle energies, yet the mind imbalance with the mental plane does, and then emotional stability returns. Keeping subtle channels pure is important and so are proper breathing skills. Frankincense equalizes humors/elements of the body while driving out influences, emotions, and entities from the negative nature. In addition this helps counter negative emotions by increasing faith, devotion, peace and perception. The property and application of incense is similar to what essential oils offer. Myrrh is hot and dry. Heating myrrh up chases phantasms, magical spells and demonic invocations made with malign words or bad herbs. The odor does not make the mind happy, therefore also carry gold with the impurities burned out. It is not useful to eat, but when one is invaded by great fevers then myrrh drunk in warm wine expels them. Myrrh is a spiritual cure by applying to the temples in oil. Low energy is a deficiency that can be hard to treat, since blocked feelings of suppression, tension, and being pent up with occasional outbursts are common. By promoting good digestive fire the stagnation breaks up and a cleaner creative life style returns. It is important to clear energy with myrrh as it is a strong detoxifier with an expectorant action, while detoxifying and cleansing to fortify deep into the tissues. Myrrh aligns a person to the Christ consciousness to understand oneself better when seeking love. To seek love one must appreciate oneself first. The mind-heart connection for myrrh is to anoint the head to soothe the heart. By soothing the heart any bitterness and negative feelings can leave as the power of Gold in the Golden Rays enter the heart, while Frankincense liberates the gifts of wisdom in greater perception to understand ones path in life. To sum it up, The Golden Heart Theory for the bakery is based on the gifts of Christmas, just like our signature: Our Holiday Love Always, BABS Bakery. Lu, H. (1990) Chinese Foods for Longevity, The art of long life. Sterling Publishing Co.
Lu, H. (1986) Chinese System of Food Cures. Prevention & remedies. Sterling Publishing Co.
Lu, H. (2000) Chinese System of Foods for Health & Healing. Sterling Publishing Co.
Lu, H. (2005) Traditional Chinese Medicine. An authorative & comprehensive guide. Basic Health Publishing Co.
Lu, H. (1990) Chinese Foods for Longevity. The art of long life. Sterling Publishing Co.
Yifang Z. & Yingzhi Y., (2012) Your Guide to Health with Foods & Herbs. Better Link Press. Shanghai Press & Publishing Development Company. Lu, H., (2005) Chinese Natural Cures. Black Dog & Leventhal Publishing. Schoenbart B. & Shefi E. (1977) Chinese Healing Secrets. Publications International, Ltd.
Chesterman, C- Lowe, K (1979, 1998) National Audubon Society Field Guide to North American Rocks and Minerals. Chanticleer Press, Inc. A Borzoi Book, Published by Alfred A. Knopf, Inc.
Frawley, D (1989) Ayurvedic Healing- A Comprehensive Guide. Motilal Banarsidass Publishers- Private Limited- Delhi, India Only. Revised 1994. Gurudas, (1988) The Spiritual Properties of Herbs. Cassandra Press. Gurudas, (1983) Flower Essences and Vibrational Healing. Cassandra Press. Revised and expanded edition 1989 by Cassandra Press. Gurudas. (1986) Gem Elixirs & Vibrational Healing Volume II. Cassandra Press. Higley, C. A. (1998) Reference Guide for Essential Oils. Abundant Health. Revised 2006. Maciocia, G. (2005) The Foundations of Chinese Medicine. Second Edition, reprinted 2006. Elsevier, Churchill Livingston. First edition 1989. Manfred, P., Madigan, P., Kulas, J., Palmquist, M. (1994) Holistic Healing Hildegard von Bingen A Liturgical Press Book. Melody. (1995 ) Love is in the Earth. Love Earth Publishing House. Morrison, J. (1995) The Book of Ayurveda. Fireside, colophon are registered trade marks of Simon & Schuster, Inc.
Ouseley, S. G. J. (1975) The Power of the Rays. Love & Brydon Ltd, Thetford, Norfolk. Other editions 1951, 1954, 1957, 1961, 1963, 1967, 1969, 1970, 1972. Saint Teresa Of Aviala. (1997) The Interior Castle. (This translation first published in approximately 1912). Tan Books and Publishers, Inc.
Strelow, W. & Hertzka, G. (1988) Hildegard of Bingen’s Medicine. Bear & Company, Inc.
Strelow, W. (2002) Hildegard of Bingen’s Spiritual Remedies. Healing Arts Press. Throop, P (1998) Hildegard von Bingen’s Physica. Healing Arts Press. Leggett, D. (2005) Helping Ourselves. Meridian Press. First published in Great Britian by Meridian Press 1994. Reprinted 1995, 1997, 2000, 2003. Leggett, D. (1999) Recipes for Self-Healing. Meridian Press. Lad, V. (2006) Secrets of the Pulse. Published by The Ayurvedic Press. First Edition © 1996. Lad, V. (2005). Ayurvedic Perspectives on Selected Pathologies. The Ayurvedic Press. Lad, V. (2002). Textbook of Ayurveda Fundamental Principles. The Ayurvedic Press. Lad, V. (2002). Textbook of Ayurveda A Complete Guide to Clinical Assessment. The Ayurvedic Press. Lad, V., Frawley, D. (1986 Lad- 2001- Lad/Fawley). The Yoga of Herbs. Lotus Press. Lad, V., Durve, A. (2008). Marma Points of Ayurveda. The Ayurvedic Press. Lad, V., Lad, U. (1994-2006). Ayurvedic Cooking for Self Healing. The Ayurvedic Press. Lad, V. (1998). The Complete Book of Ayurvedic Home Remedies. Three Rivers Press. Singh Khalsa, K.P. ((2008) The Way of Ayurvedic Herbs. Lotus Press. Svoboda, R. (2004). Ayurveda Life, Health and Longevity. The Ayurvedic Press. Svoboda, R. (1980, 1994, 2002). The Hidden Secret of Ayurveda. The Ayurvedic Press. Davies, C., Davies, A. (2004) The Trigger Point Therapy Workbook. New Harbinger Publications. Chia, N. (1998-2006). Bone Marrow Nei Kung. Destiny Publishing. Minich, D. (2009) Chakra Foods for Optimal Health. Conari Press. Too, L. (2005) Total Feng Shui. Chronicle Books, Inc.
Too, L. (2004) Total Feng Shui. Chronicle Books. Too, L (1996) The Complete Illustrated Guide to Feng Shui. Harper Collins, Publishers. Too, L (1999) The Illustrated Encyclopedia of Feng Shui. Element Books Limited. Books. Sans, L (2008) The Principles of Feng Shui. The American Instituteof Feng Shui. First Edition 1995. Too, L. (20070 Lillian Too’s 168 feng Shui Ways to energize Your Life. Cico Books. Diamond, K. (2004) Feng Shui for Skeptics. Four Pillars Publishing. Diamond, K ( 2008) The Feng Shui Continuum, A Blueprint for Balanced Living. Four Pillar Publishing. Diamond, K (2006) The Feng Shui Matrix, Another Way to Inherit the Earth. Four Pillars Publishing. Chen, C-H (1999) Body Feng Shui, The Ancient Science of Body Reading. Destiny Books. Cohen, K (2003) The Beginnner’s Guide to Feng Shui. Sound true, CD. Hale, G. (2003) The Practical Encyclopedia of Feng Shui. Hermes House, First edition 1999- Annes Publishing Limited. Wilhelm/Baynes (1990) twenty-fourth edition. The I Ching or Book of Changes- Ji Jing. Bollingen Foundation, Inc. Princeton University Press. First edition-, two volumes, 1950. Hari, A.R. (2003) Indian Feng Shui for American Homes. 1st Books. Kennedy, D. (2001) Feng Shui for Dummies. Wiley Publishing, Inc.
Arya, R. (2000) Vaastu, The Indian Art of Placement. Destiny Books. Mastro, M. & Mastro R. (2006) The Way of Vastu. Balanced Books. Krishna, T, MD. (2001) The Vaastu Workbook. Destiny Books. Berg, Y. (2000) The Power of Kabbalah. Jodere Group. Jodere Group, Inc.San Diego, California. Braden, G. (2004) The God Code. Hay House, Inc.
Eden, D (1998) Energy Medicine. Tarcher/Penguin. Paperback 1999. Gerber, R (2001) Vibrational Medicine. Bear & Company Inc.
Leggett, d. (1994) Helping Ourselves. Meridian Press. Second Edition 2005. Schneider, K. (nd) Spiritual Hypnosis, The Misdiagnosis of Hypnosis, unpublished. Dragon Time, Volume 6, Summer 2007. Tirtha, S.S. (1998) The Ayurveda Encyclopedia, Natural Secrets to Healing, Prevention, & Longevity. AyurvedaHolistic Center Press.